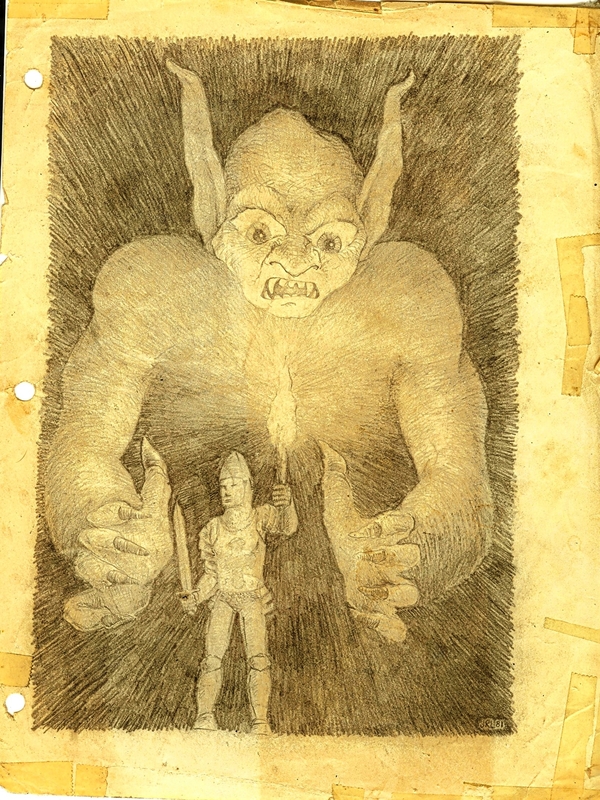 Beautiful D&D-inspired piece artist Joe Linton did when he was in high school. Saved by mom, naturally. I found it on his blog, Homemade Ransom Notes. thanks for discovering that old drawing! It’s damn good, Joe! Thanks for posting it.